Posted by Craig Tervit in New Parents on Oct 18, 2016. As a new parent, you have likely found that your world (and your general outlook) has changed dramatically in a short period of time. You have also acquired an incredible amount of baby stuff: diapers; wipes; hats; socks; shoes; onesies; swaddlers; soothers; teethers; monitors; gates; baby proofing apparatus; and toys galore. While all of this is a lot of fun (ridiculously tiny shoes, ridiculously tiny hats, – really, ridiculously tiny everything), first time parenting also comes with new anxieties. You now have a child who relies completely on you for everything. You begin to worry about whether you have thought of everything (you haven’t, but that’s totally fine). You start to make more responsible decisions, some hard (the roadster is traded in for an SUV), some easier (nights out on the town slowly turn into nights in with a glass of wine). You have conversations about mortgages and financial planning with increasing frequency. You also find yourself thinking about developing an Estate Plan and drafting a proper Will with a newfound seriousness. In my experience, while most parents know that they really should get a Will, they are often completely wrong as to main reason why they need one. If you yourself are a new (or new-ish) parent, why do you need a Will? Take a second and think about it. If your answer was ‘so that I can make sure that everything I own goes to my spouse and/or child’, you’re in for a surprise. I’m not saying that leaving your worldly assets to your spouse and child is the wrong thing to do.1 In fact, leaving everything to a spouse and child is very standard. That said, if you have an … unusual plan, I’m not here to judge. So if you want to leave, for example, a large fortune to your Aunt’s pet mongoose, go for it. I’ll let you know about any issues that may come up, and if that’s what you want then I’ll get to work on trust conditions to best take care of said furry animal. I’m actually saying that this likely to happen even if you don’t have a Will. There is legislation in place that gives your money to your spouse when you die, or to your child, if you have no living spouse. 2 See the Wills and Succession Act, Part 3 (http://www.canlii.org/en/ab/laws/stat/sa-2010-c-w-12.2/latest/sa-2010-c-w-12.2.html?autocompleteStr=wills%20an&autocompletePos=1#Part_3_Distribution_of_Intestate_Estates_73297) which explains what happens if you die without a Will. Perfect! I’ll just check that one off of the list, have a celebratory glass of wine and move on to the next long overdue task on my list! Not so fast. 3 Come on. I’m a Wills and Estates Lawyer. 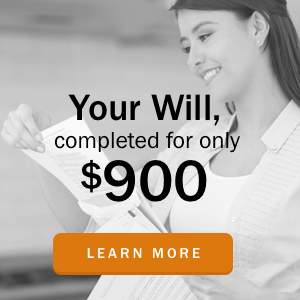 There was obviously no way that I was going to say that you really didn’t need a Will. I would risk getting sued when disasters struck as a result of my readers not getting a Will. There are a number of reasons why new parents should discuss and draft a Will, Enduring Power of Attorney, and Personal Directive. 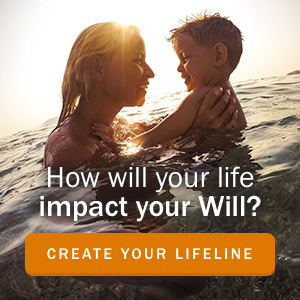 A Will can shape the financial and emotional future of your child in ways that can be far more important than simply leaving them money. How that money is given to them is important, but the most important reason to have a Will is to name the guardian for your child. The last thing you want to think about is not being there to look after your new baby, but sometimes the most challenging conversations can be the most important. Appointing a guardian is not something to be taken lightly. Careful consideration should be taken so that the right person is named for your unique situation. The biological parents of a child are usually the presumptive guardians of a child, so in most cases, if one biological parent dies without a Will, then the other biological parent will be named as guardian. However, a Will can express your wishes to decision makers in a way that friends and other family members cannot. 4 If something should happen to you, the courts don’t tend to put a lot of weight on what someone says you told them, compared to what you stated in a properly signed and witnessed Will. It can express to a court your intentions regarding your child — whether it is reservations about the other biological parent, naming your current spouse as guardian in your place, or naming a friend or family member. Should something happen to both parents and neither has a Will, then the court may appoint a guardian based on who applies to be guardian. One would hope in this situation that someone close to the child would come forward, but there is a complicated process, and sometimes either no one comes forward, or more than one party does. Both can have negative consequences. If no one applies to be the guardian of your child, then a government agency will have to intervene, and your child will be subject to the Child, Youth and Family Enhancement Act. 5 You can find the whole act here (http://www.canlii.org/en/ab/laws/stat/rsa-2000-c-c-12/latest/rsa-2000-c-c-12.html#sec4_smooth), but in essence it explains in tremendous detail and legalese how the courts would decide on who is named guardian, and what happens to minors with no guardian. If more than one party applies for custody of the children, then the courts will have to make a decision that they determine to be in the best interests of the children. Contested guardianship applications can be expensive and lengthy, and can be especially difficult if they occur shortly after a death in the family. While the risk of the above situation happening to you is small, take a moment to consider what would happen if it did occur. How much risk are you willing to take when it comes to the future care of your children? Think about how much research and planning you take in picking a daycare provider for your children.6 Or a car seat. Or a stroller. Or that local organic baby food that your child will gleefully throw on the floor. Having a properly drafted Will is your insurance plan for your children’s future. It allows you to select the right person to take over for you, should something happen to you. 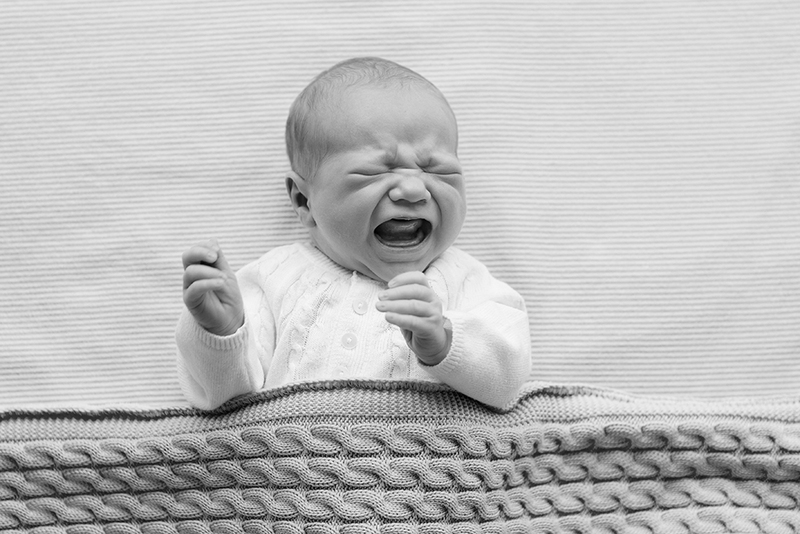 As a new parent, the last thing you need is to add to your list of worries. Preparing a Will is one thing you take care of pretty easily — in as little as two meetings. And at The Last Word, we’re happy to come to you. Which means you can focus your energy on more important things.